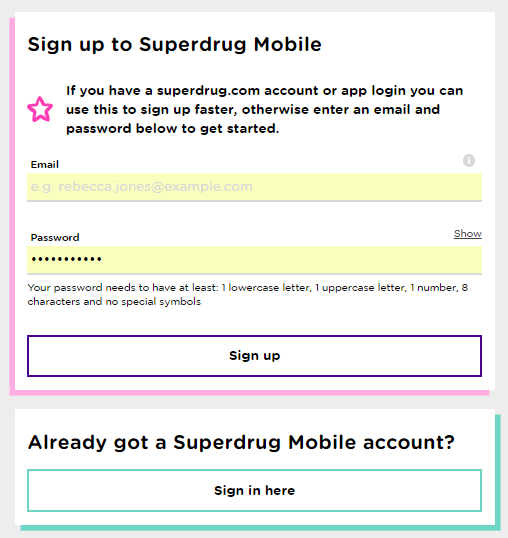 When you order a Superdrug Mobile SIM, we'll ask you to sign in or create a new account. If you're seeing a message which says 'Oops! Your form has errors', please check which option you're using the sign in.